The International Union for Conservation of Nature (IUCN) Red List of Threatened Species, founded in 1964, is the world’s most comprehensive inventory of the global conservation status of biological species. A series of Regional Red Lists are produced by countries or organisations, which assess the risk of extinction to species. With Crawford Fund support, Leontine Baje from the National Fisheries Authority in Port Moresby attended training at James Cook University in Townsville. The workshop was titled Conservation management of elasmobranchs: an introduction into the Red List of Threatened Species (elasmobranchs include sharks, rays and skates). On the first day, participants learned how to complete Red List Assessments following the IUCN’s criteria. On the second day, participants received training in the software used to record the assessments. For the remainder of the workshop, Red List assessments for Australian endemic species were updated and a regional assessment for the wider ranging species (324 species in total) was made. “The training provided at the start of the workshop was aimed at shark and ray experts and so was a very steep learning curve. 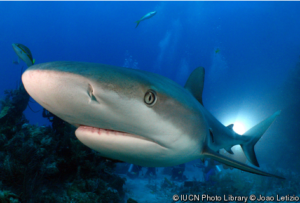 It provided a unique opportunity to learn from regional and world experts on sharks and rays, and to learn how the IUCN Red List process works,” said Leontine. Leontine was able to provide data from PNG fisheries for the assessments. During the latter part of the workshop she was involved in a number of Red List assessments for species also known to occur in PNG waters. Completion of the assessments involved numerous discussions with the experts in the room, which had the added benefit of building her communication skills. “We were shown how data collected locally can enhance and impact regional and global understanding of a particular organism. The workshops also showed the importance scientific research into natural fauna and particularly exploited species,” said Leontine.